Leadership – Job Title Or Something More?  The Oregon Center for Nursing recently released its latest infographic on nurses attitudes towards leadership. The graphic uses recent data from the Oregon Research Initiative on the Organization of Nursing (ORION) study. Findings from the survey contained both good and bad news. The good news – 78% of Oregon nurses feel prepared to assume leadership roles. The bad news – only 58 % of nurses are likely to seek out leadership opportunities. An underlying issue not addressed by the study is individual attitudes towards leadership. Ask a random group of people to define leadership and you’ll receive several different answers. Does leadership mean accepting a management or administrative position? Or does leadership mean serving on committees, either inside or outside your organization? Or for that matter, outside the nursing profession? Does it mean advocating for each individual patient to receive the best possible care available? Or is it all of those things and more?